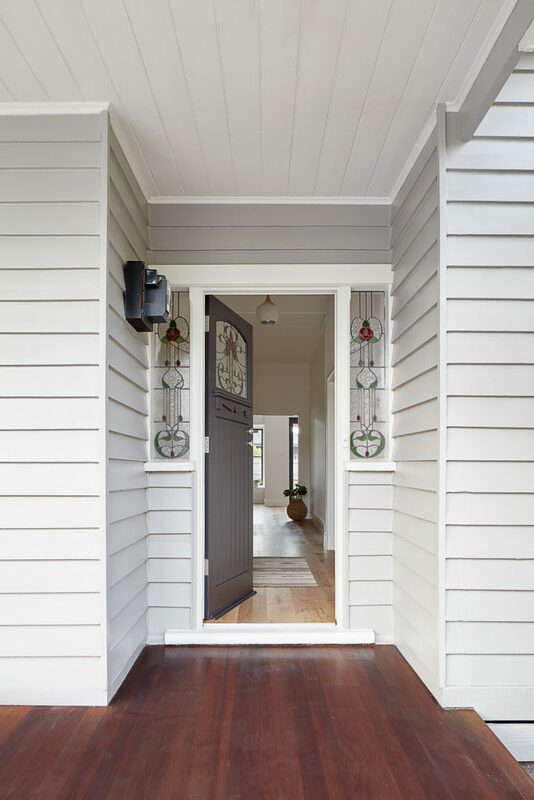 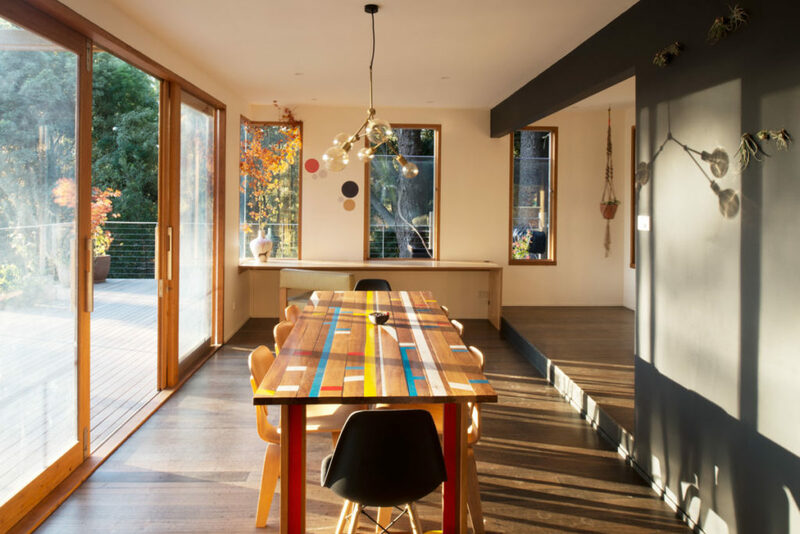 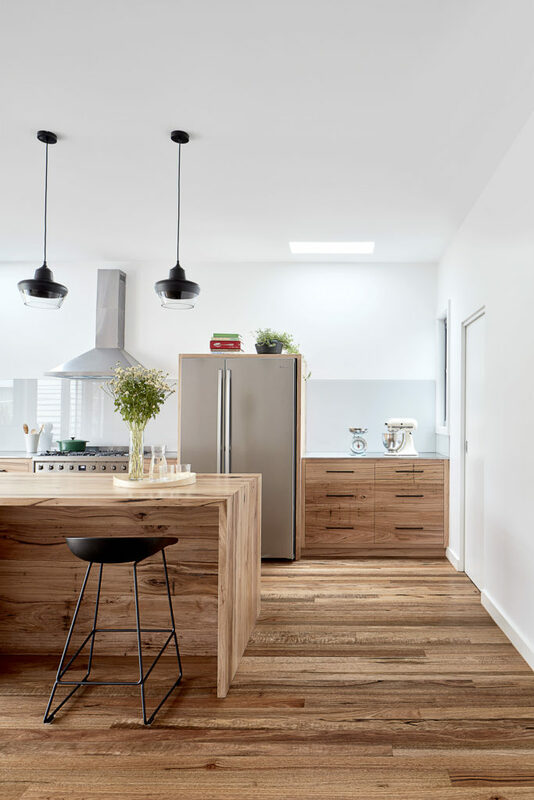 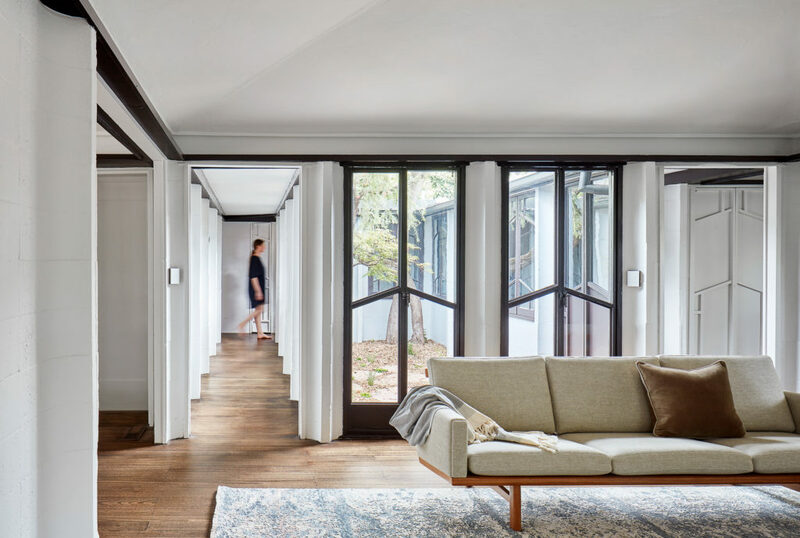 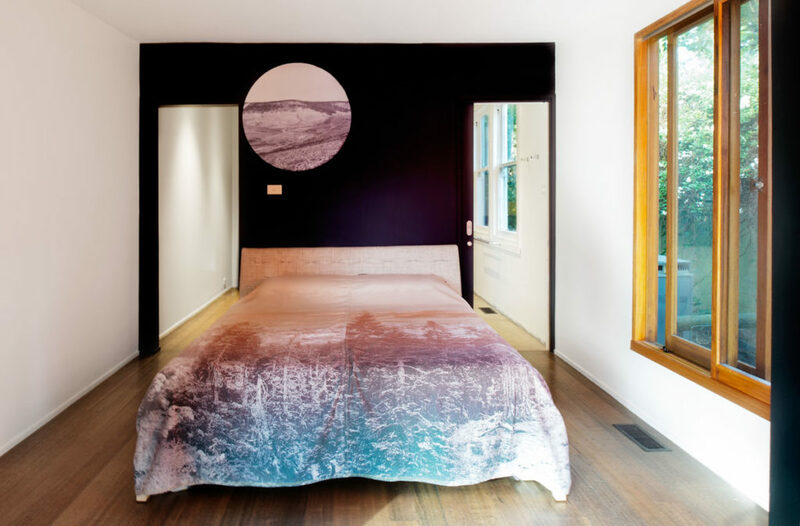 An alteration + addition to an existing 1920’s timber cottage located in the hills to the north east of Melbourne, this project reorganises a series of mix matched alterations gained during its previous 60 years. 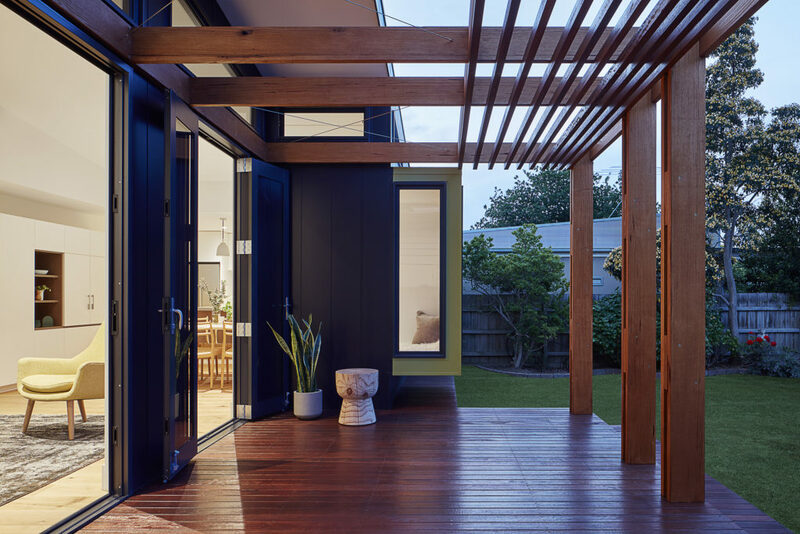 Orientation of the living/dining spaces and connecting them to a new expanded north-east facing deck, allows for connection to the landscape & adjacent garden. 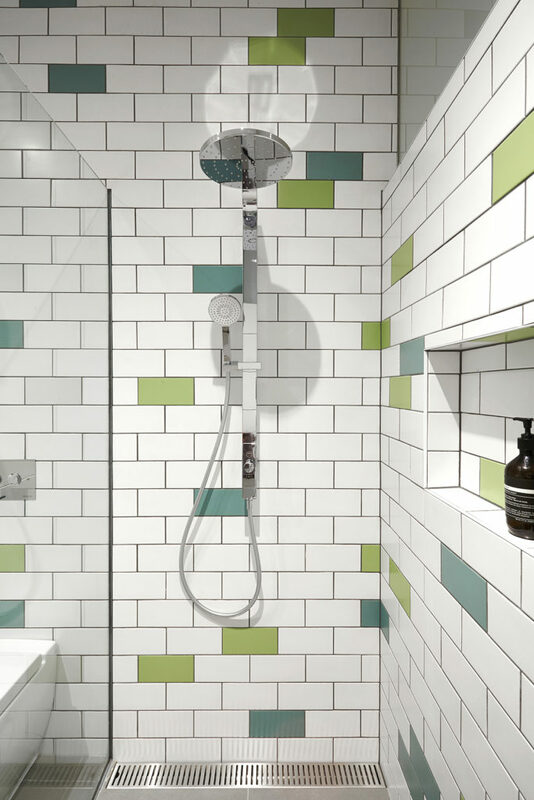 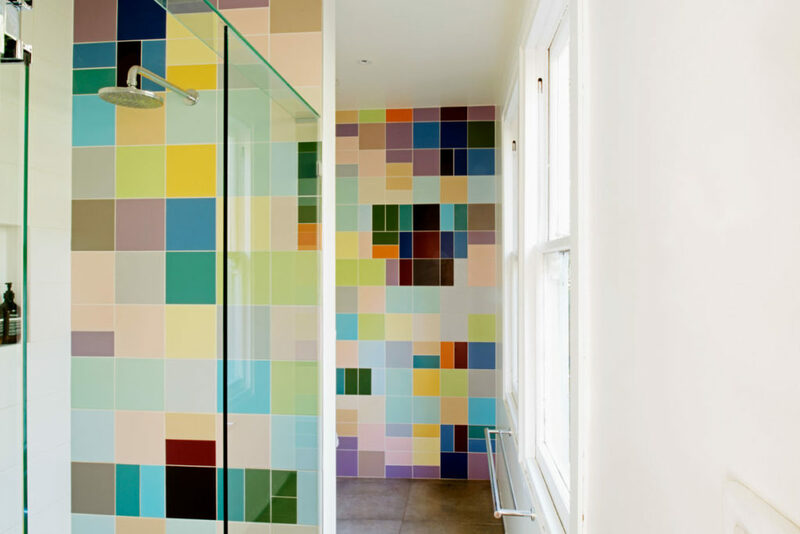 A small ensuite of a new master suite is decorated with an ‘art wall’ of cleverly coloured tiles defining the space. 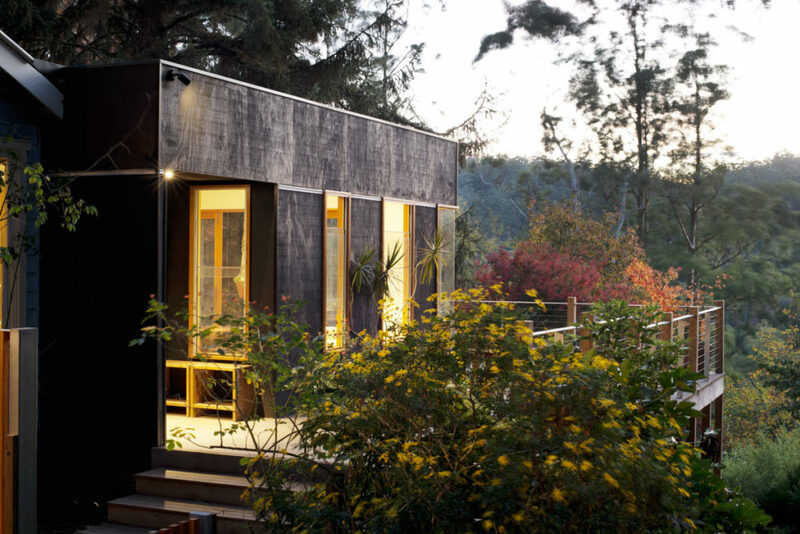 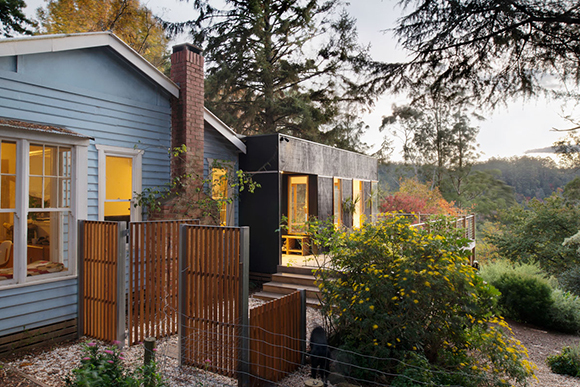 Clad in ‘black’ Shadowclad panels answers the clients desire for ‘just a black box’ at the rear of their blue cottage. 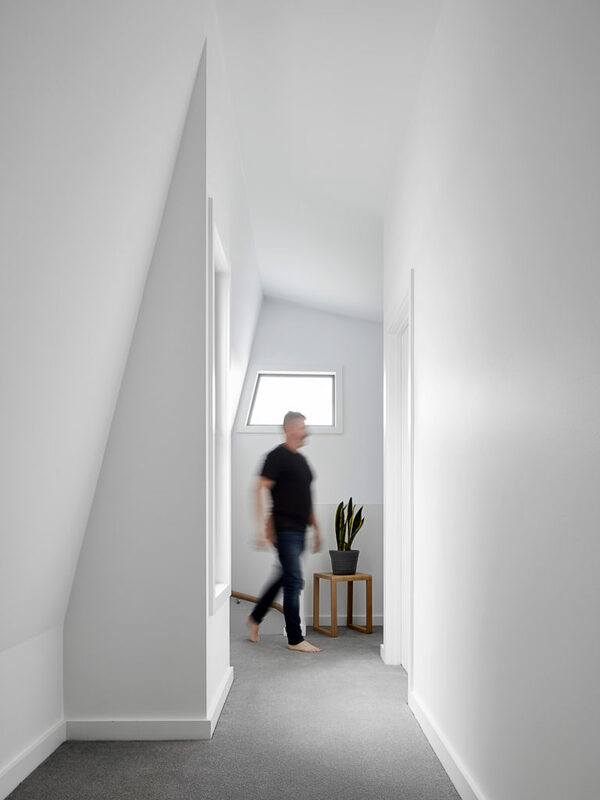 An Alteration + Addition to an Edwardian Cottage. 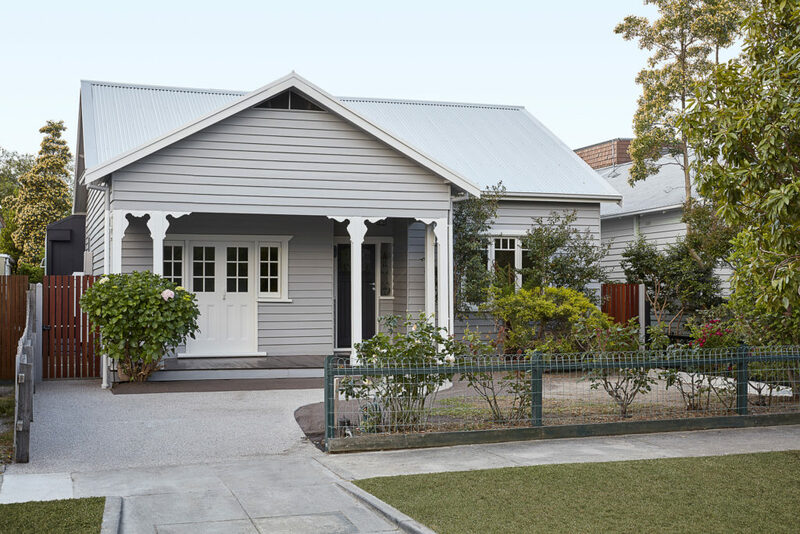 The client had owned the property for over 30 years. 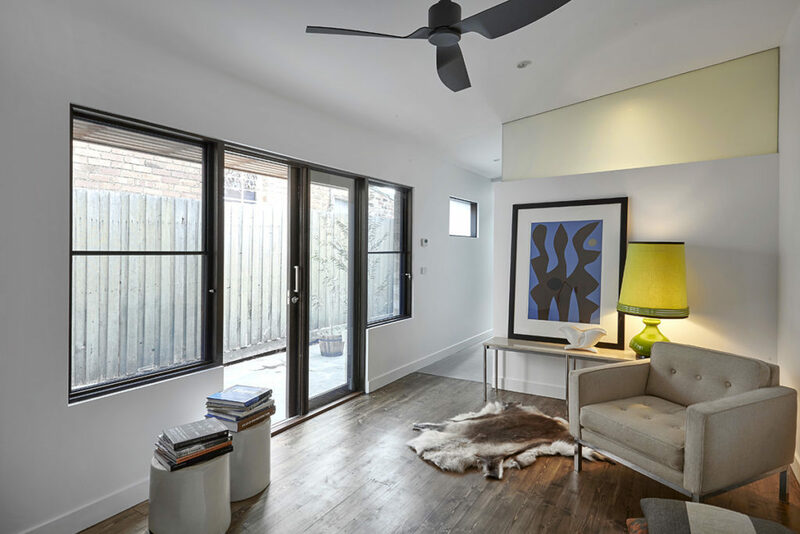 We were approached to complete a full interior and exterior renovation. 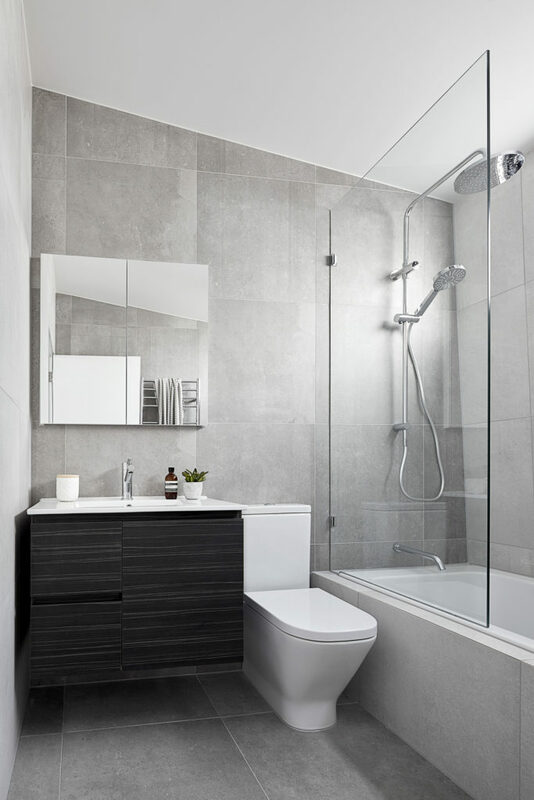 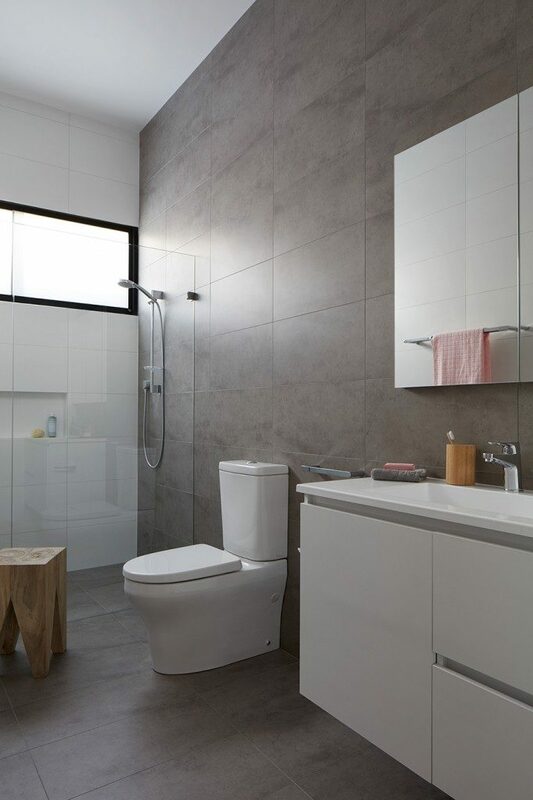 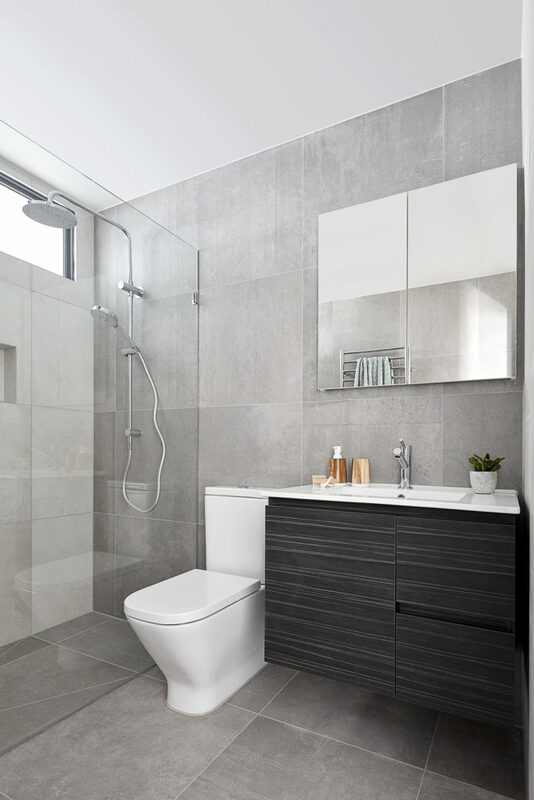 A new bathroom and powder room was inserted into the existing fabric of the house. 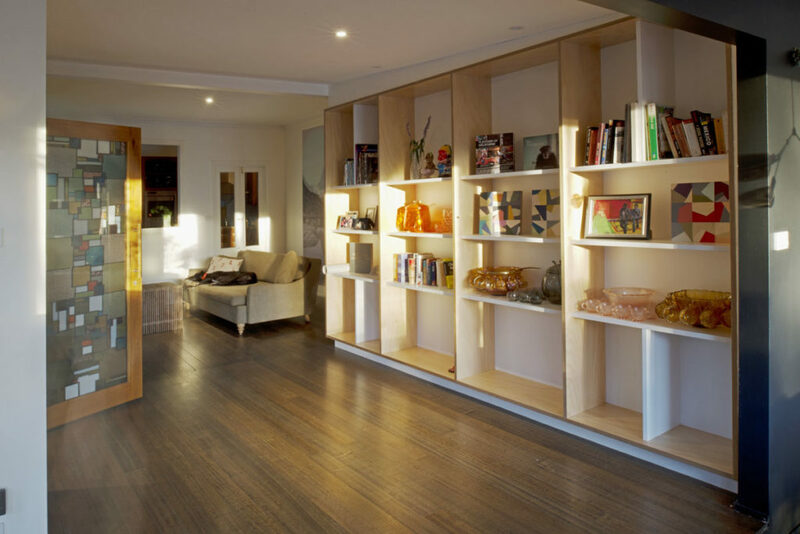 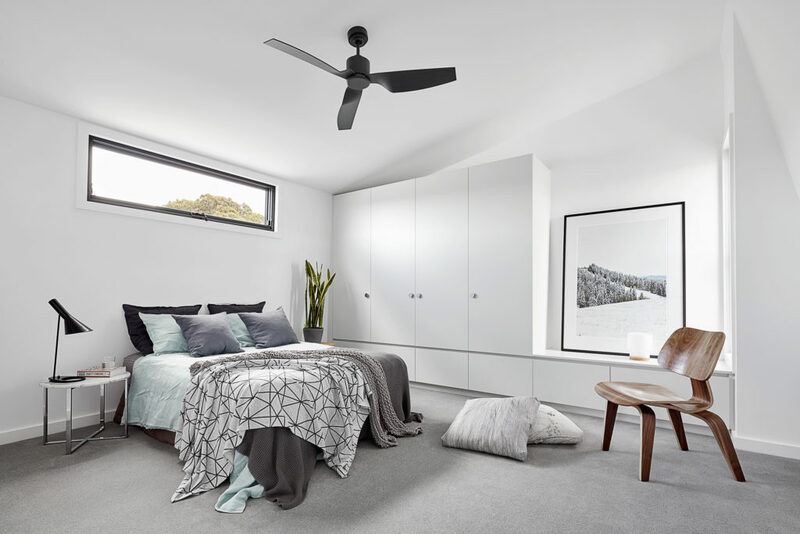 The project is an alteration and addition in the northern suburb of Thornbury. 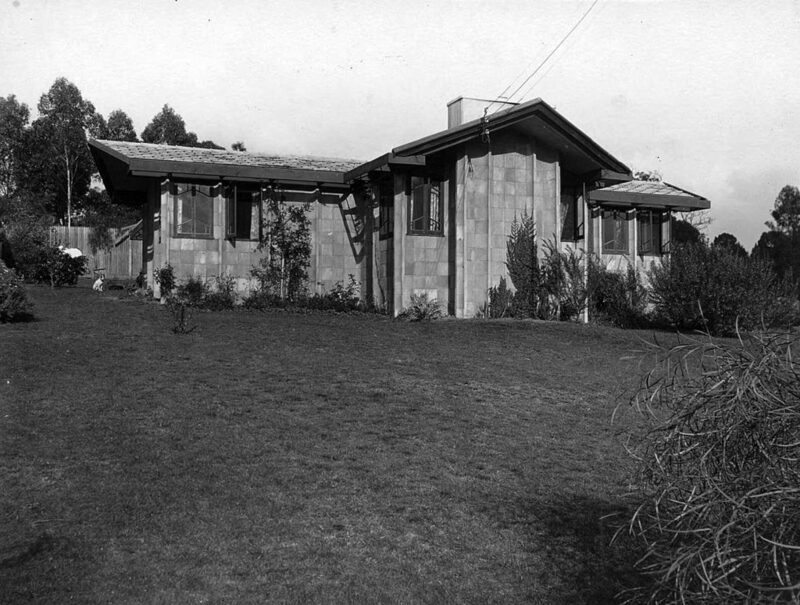 The existing house built after World War One in the suburb’s pre-dominate Californian Bungalow style and is one of many distinct plans created by the State Savings Bank Scheme after World War One. 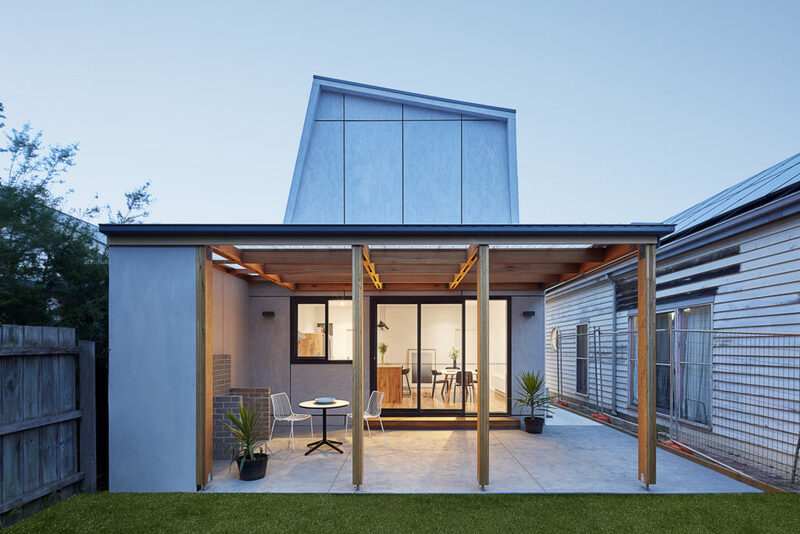 The project takes it’s cue from the form of the ‘lean-to’ common to homes of this era, in which service rooms and open verandah spaces are located at the rear under a skillion roof addition pitched down low and leant against an east west gable roof line. 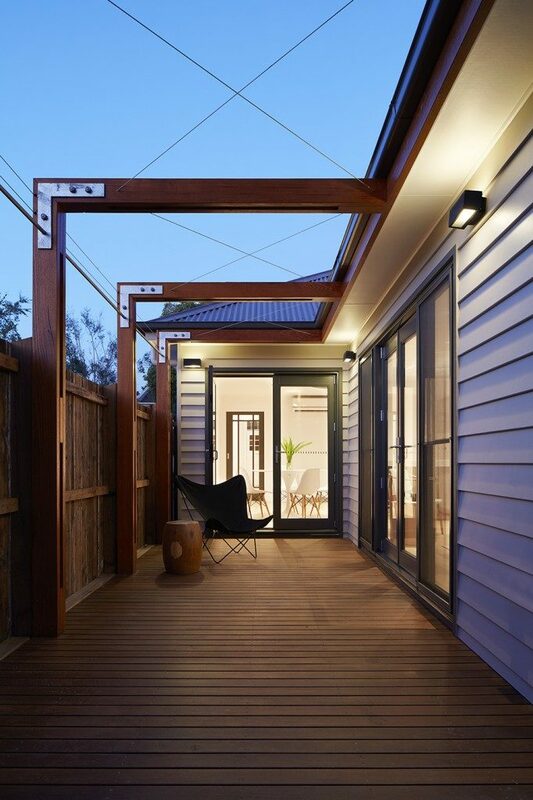 The new ‘lean-to’ addition stretches across the block from western boundary to eastern access pathway allowing for a new articulated northern elevation punctuated by two twin ‘apertures’ that face the garden. 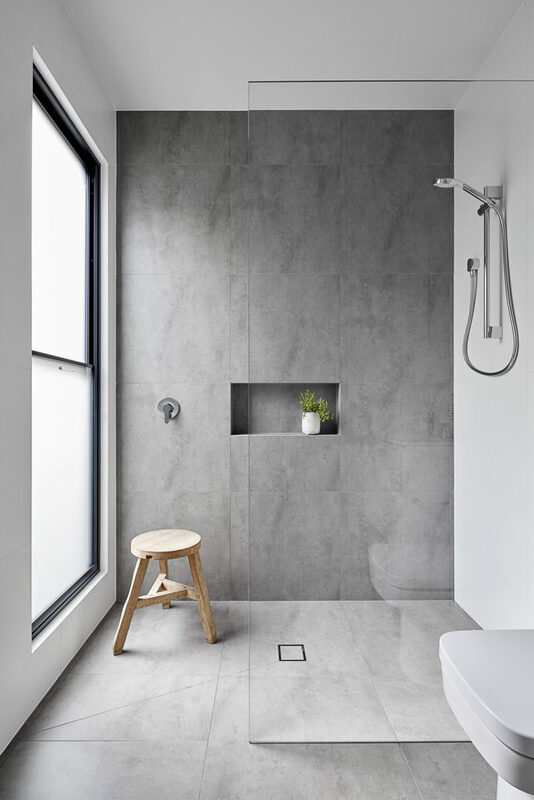 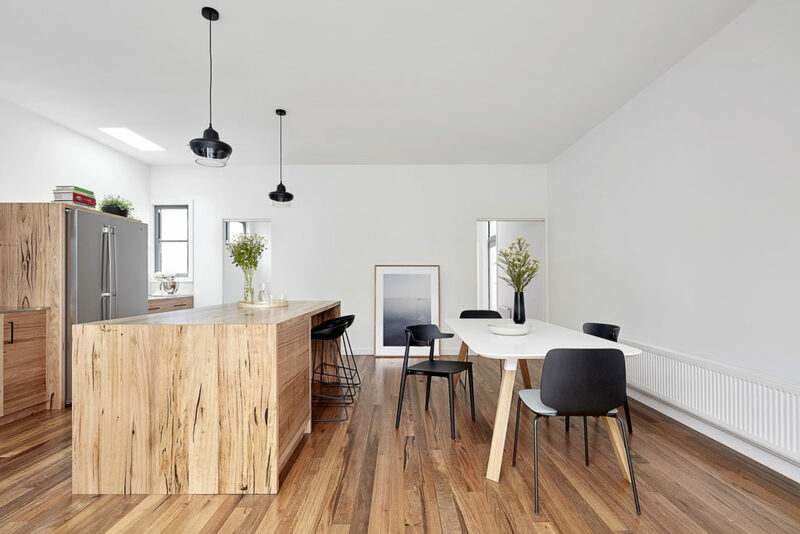 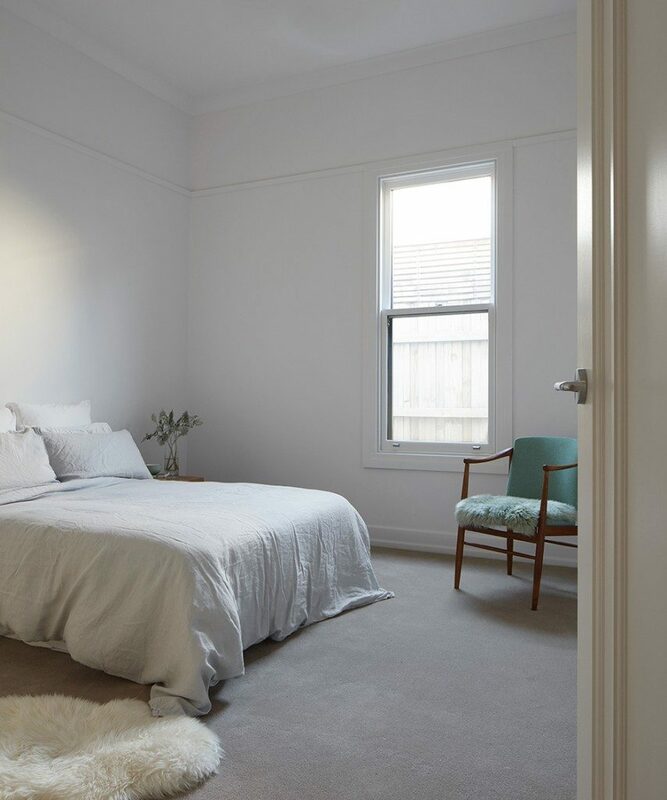 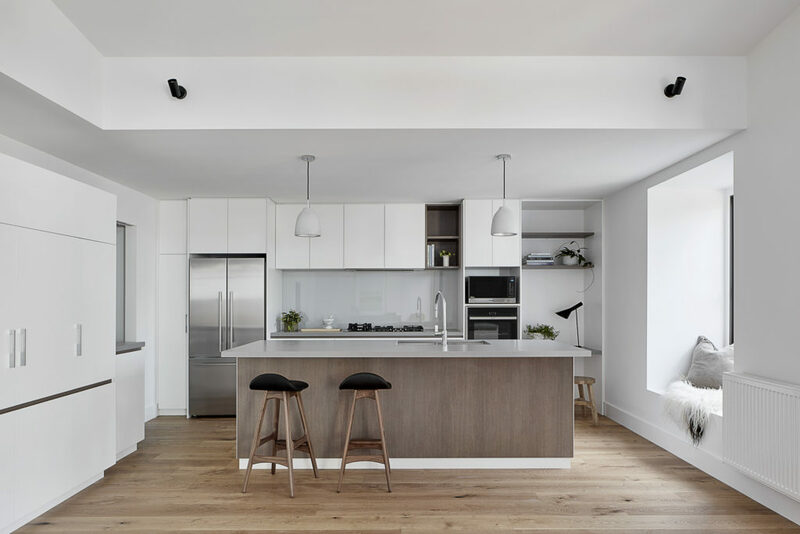 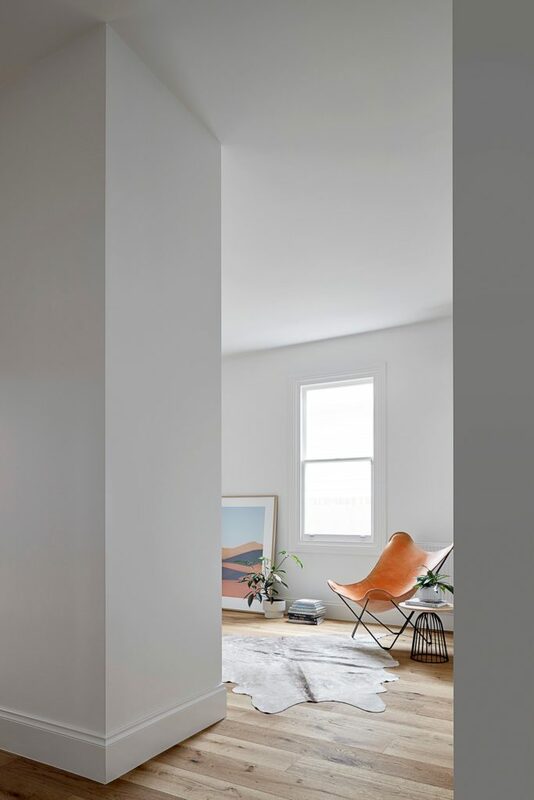 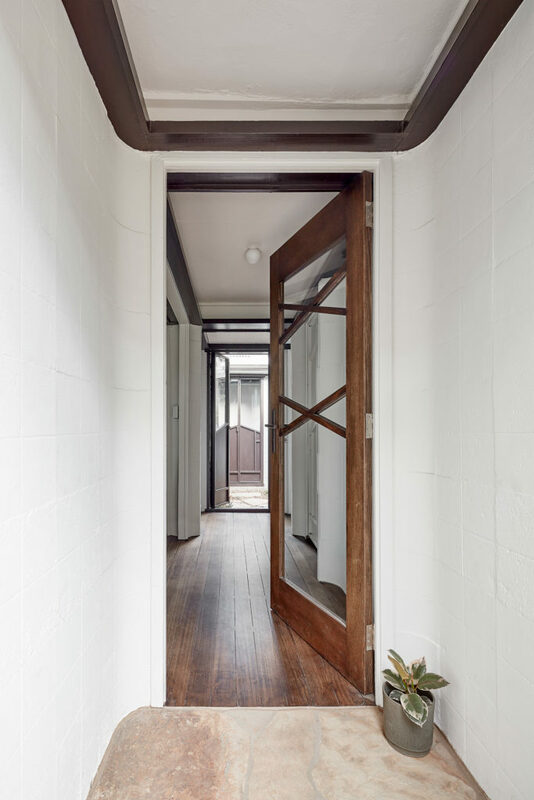 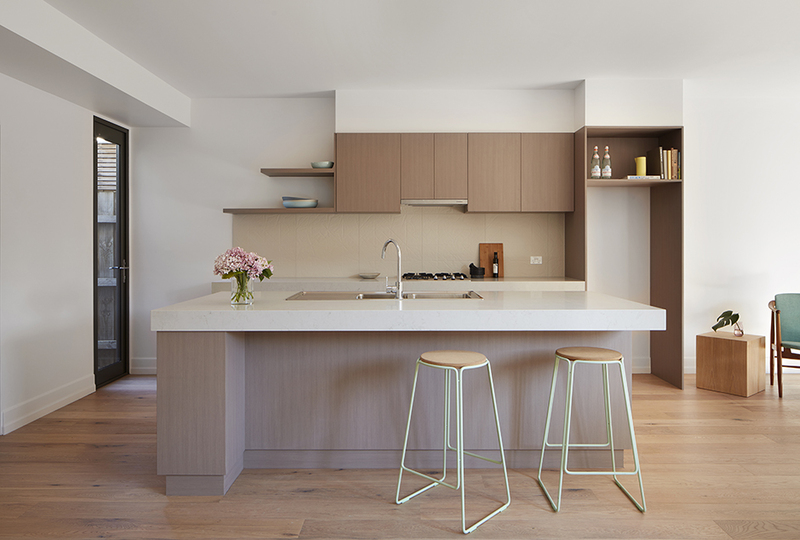 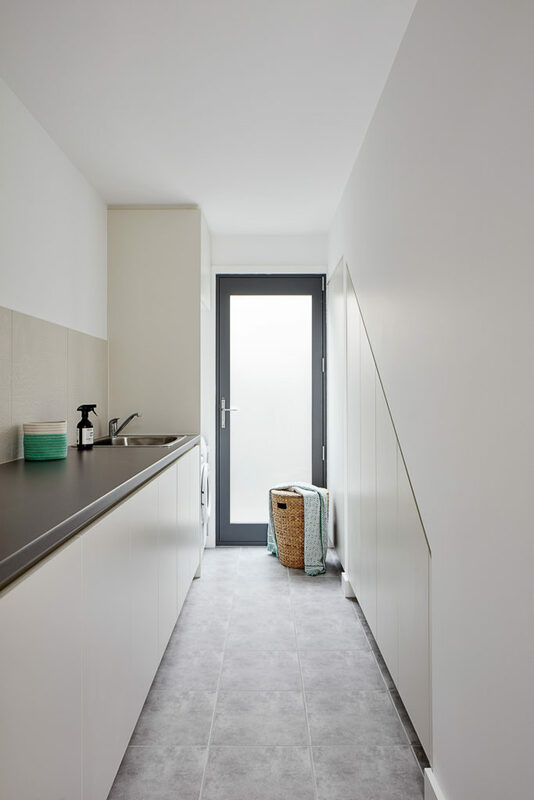 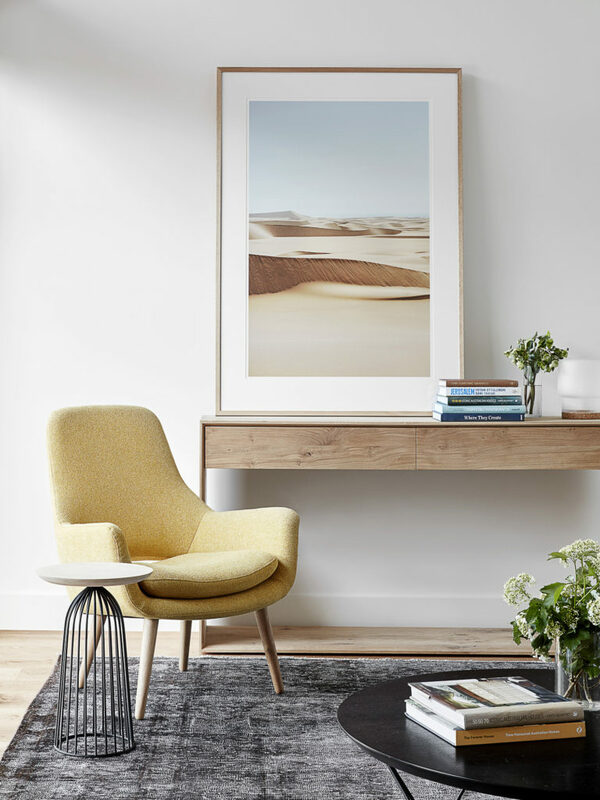 Rennie Street House is deliberately small addition that is confidential to both street and neighbourhood, yet a highly personalised alteration arranged with care for its inhabitants. 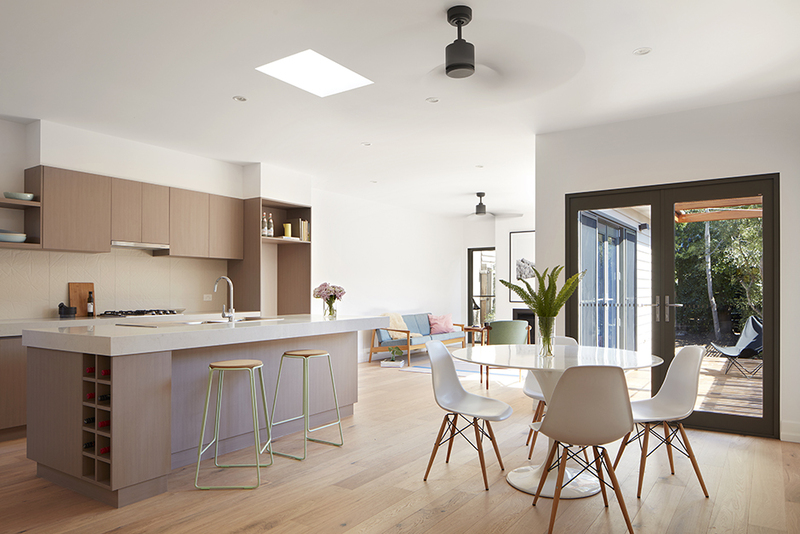 A two-storey alteration & addition to an interwar timber cottage for a family of three. 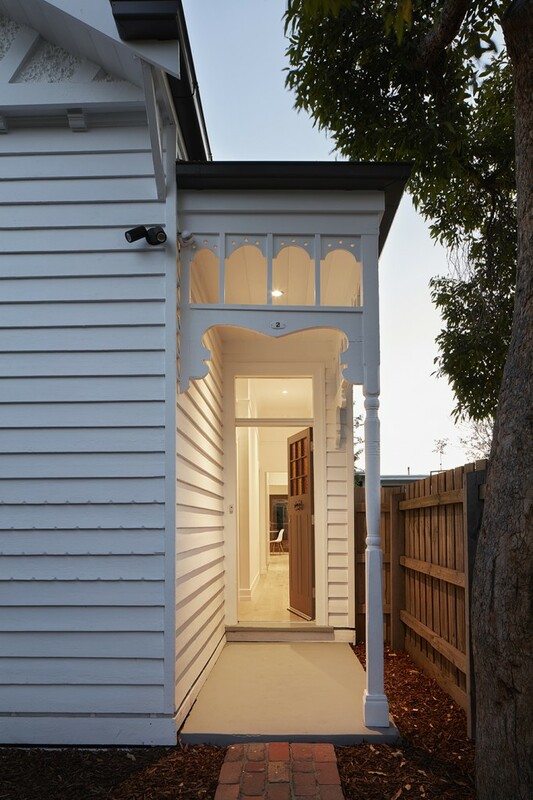 The brief required the front three rooms to remain with a new two storey addition to the rear. 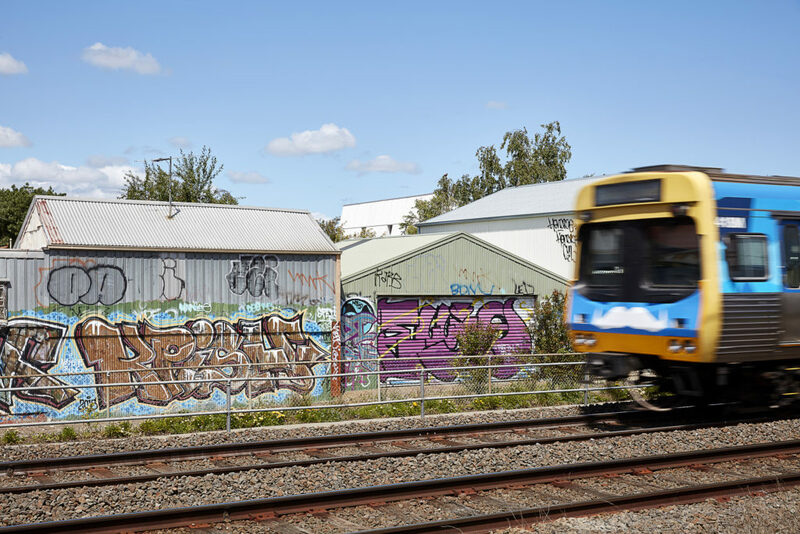 The outcome required careful consideration of the existing east/west site and a train line to its rear. 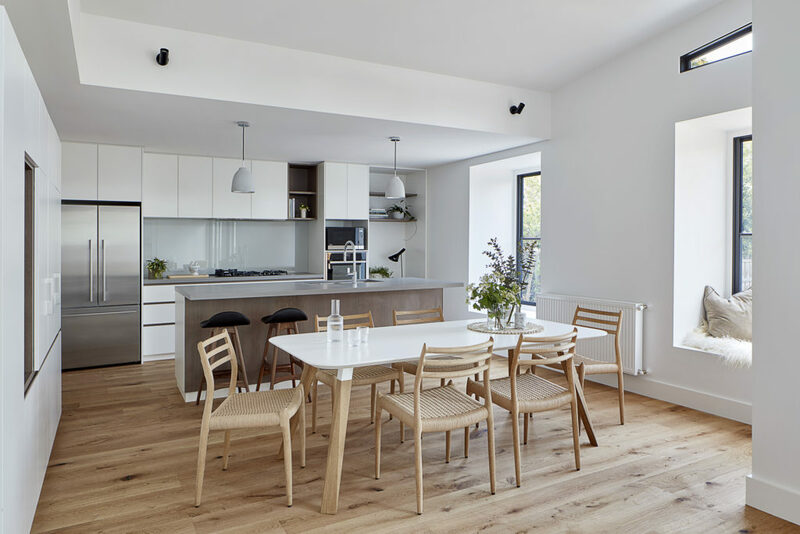 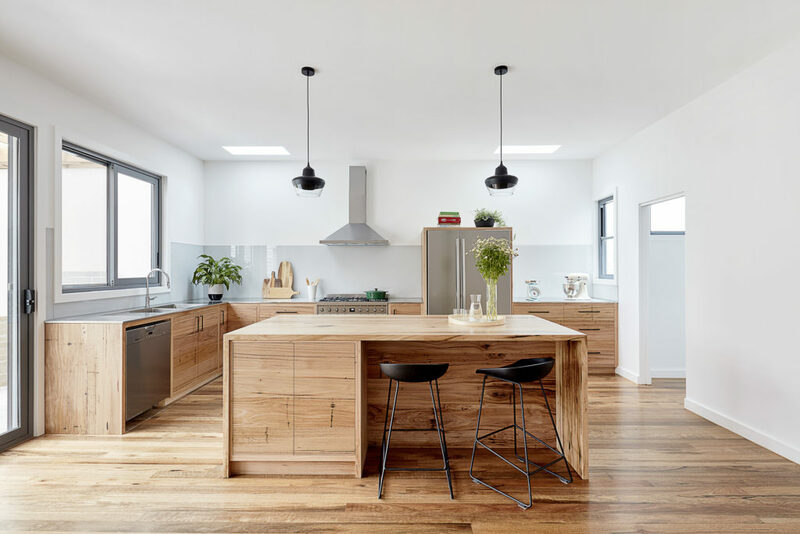 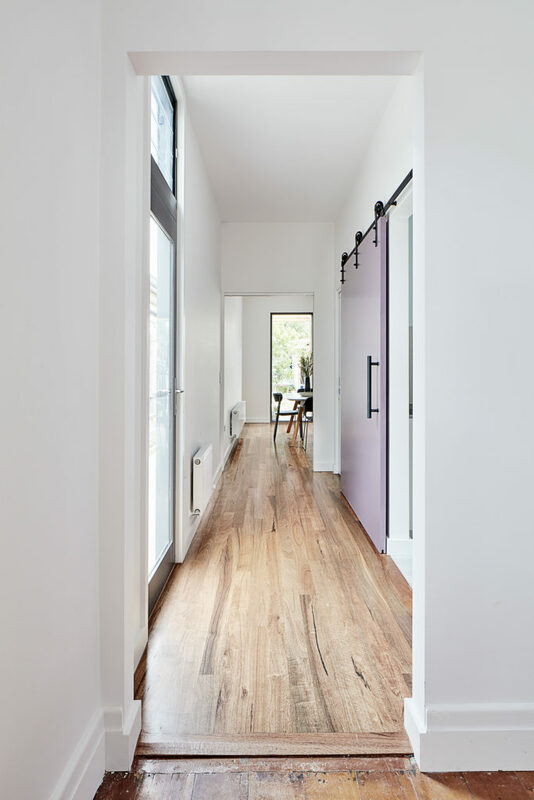 The upper floors reflect the planning constraints and are clad in Cemintel sheeting and carefully considered materials selection reflect the clients desire for a pared back low maintenance home. 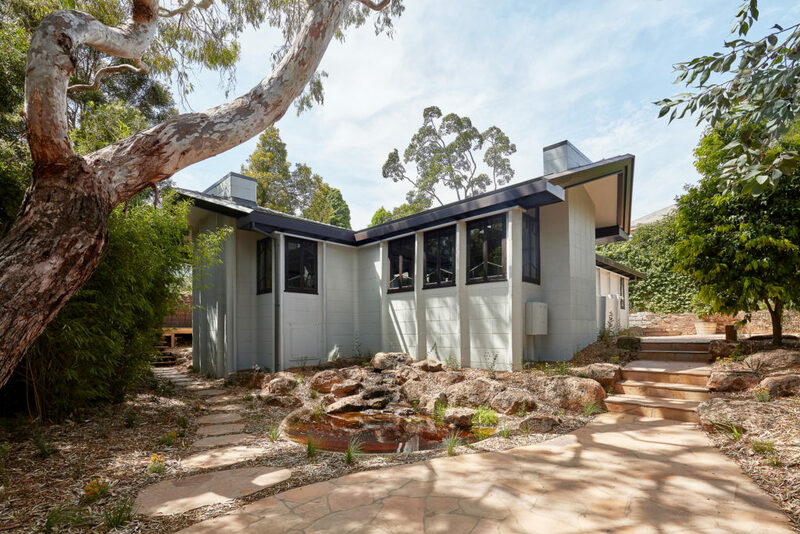 ’Burley’ also known as ’Salter House’, is a single storey family home designed by Walter Burley Griffin and Marion Mahony Griffin ca. 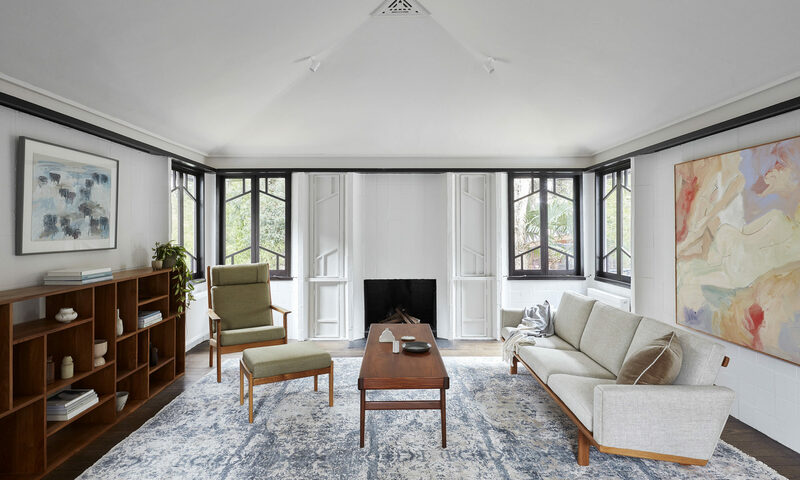 1922 for Stanley Salter. 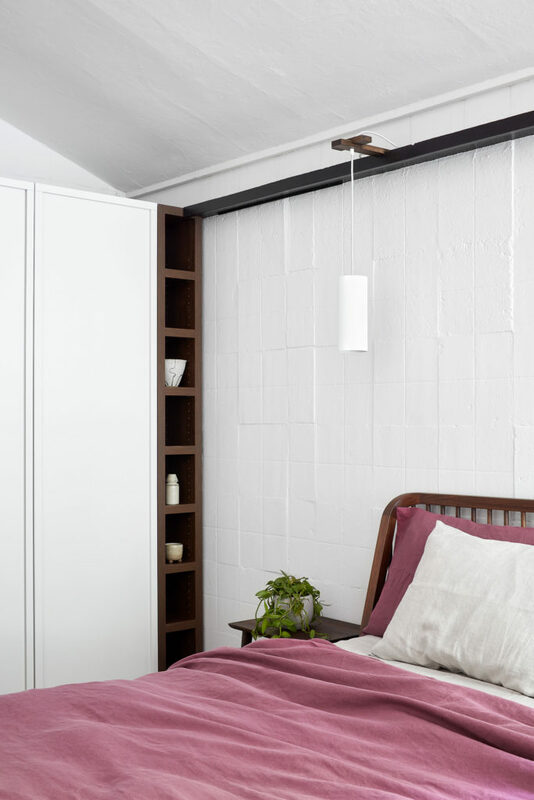 Built using Griffin’s patented system known as ‘Knitlock a modular system of interlocking concrete masonry that was intended to be both aesthetic and cost effective. 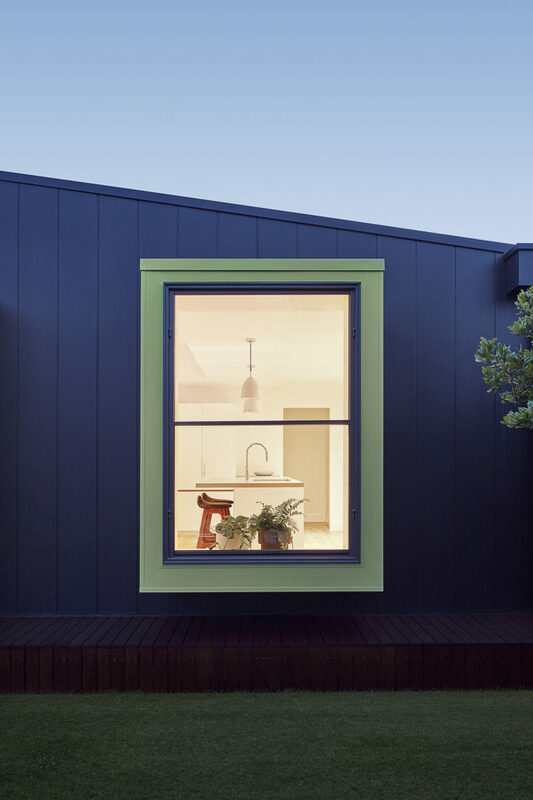 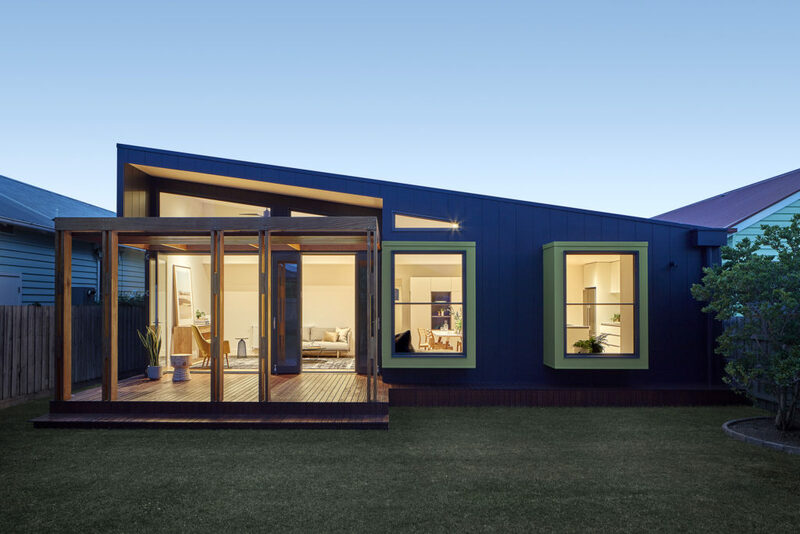 The project is one of three remaining ‘Knitlock’ houses in Victoria. 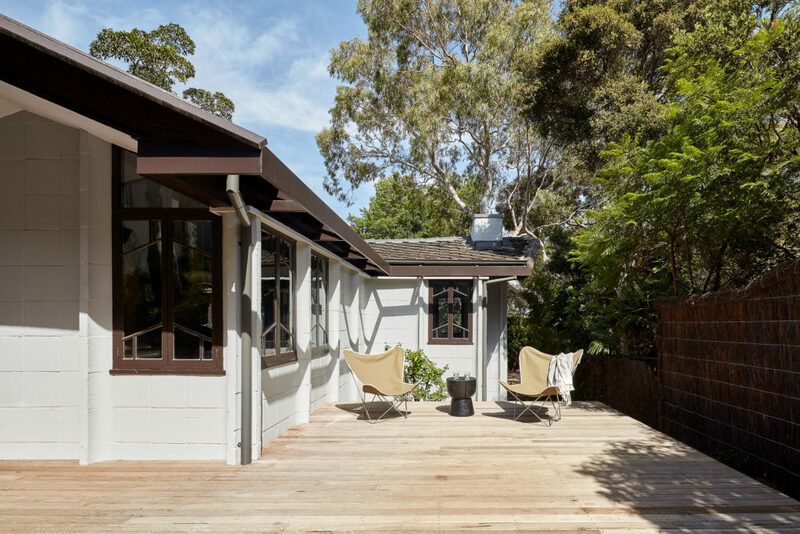 The present owners bought the property in January 2018 with a view to its restoration. 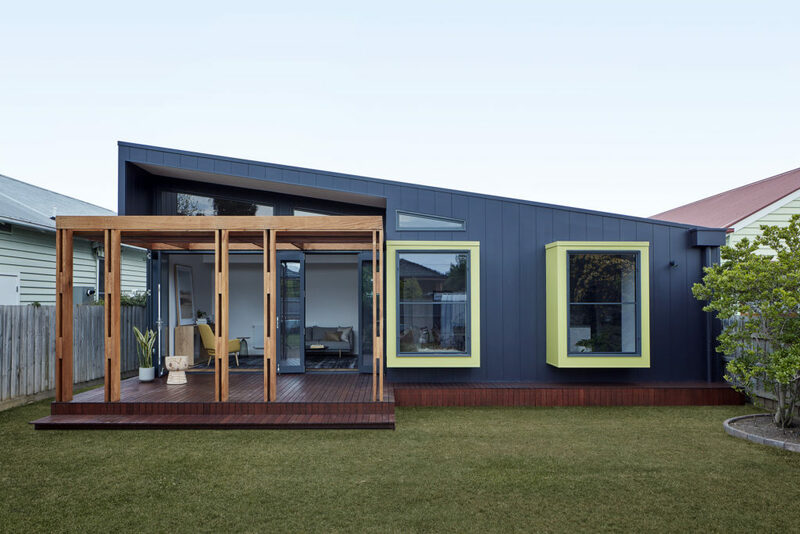 The brief was to allow the house to reveal itself through its unique structure, materiality and context. 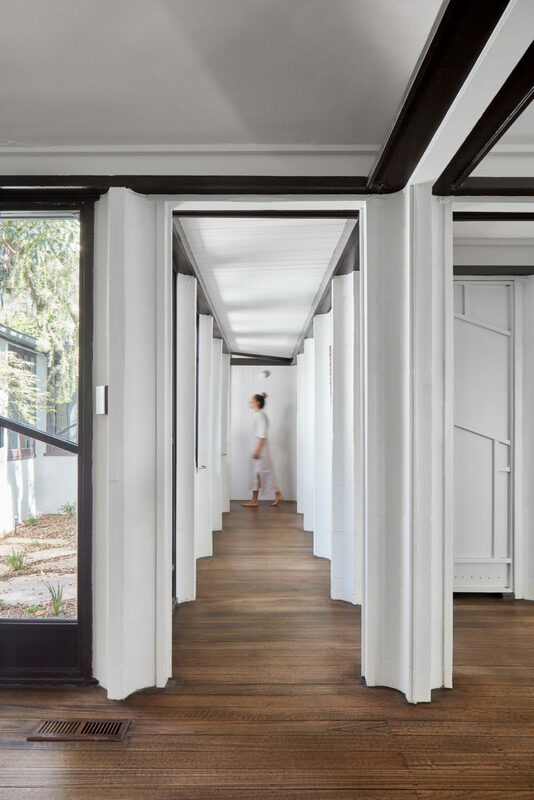 The response was to update the environmental and sustainable attributes of the original house through carefully considered internal and external interventions. 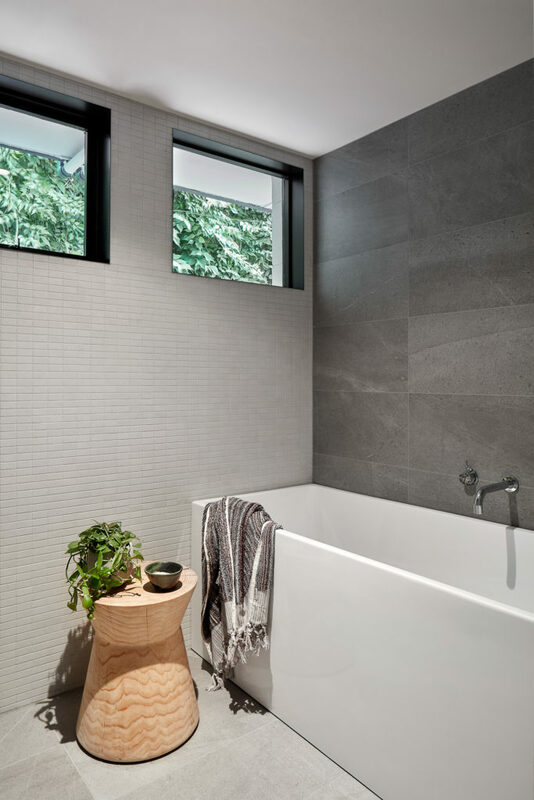 This was achieved by only doing what was necessary and retaining as much as possible of the Griffins’ intention. 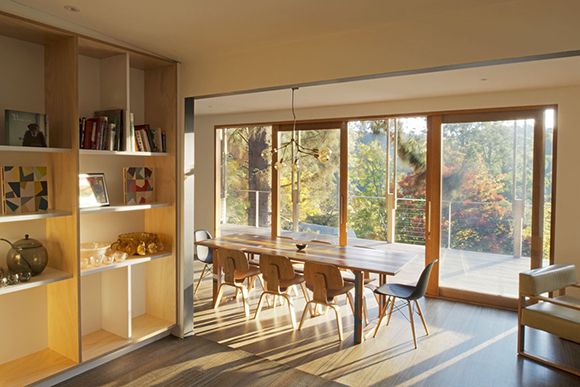 The house sits embedded in an indigenous landscape of soft edges, boulder outcrops, and a natural pond. 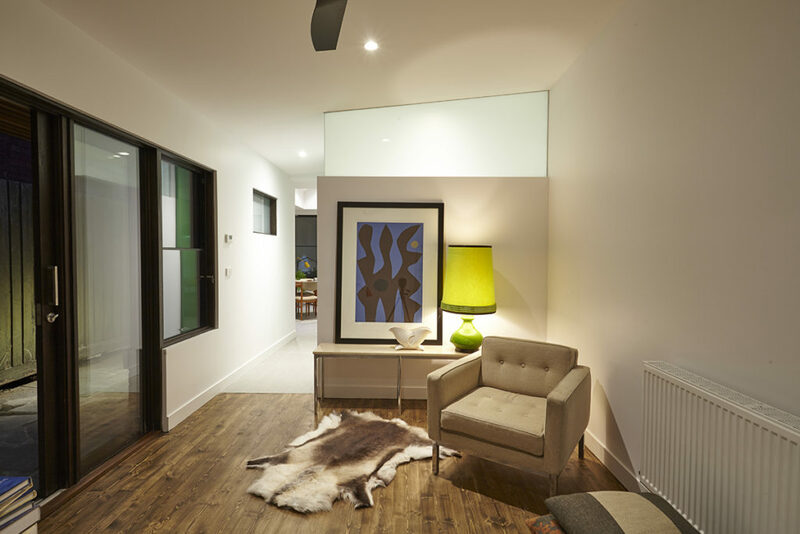 Landscape by Sam Cox Landscapes and his team. 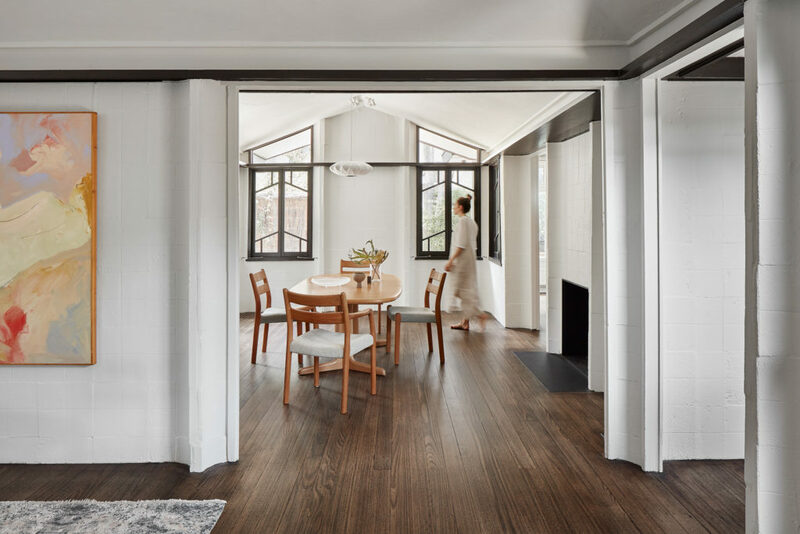 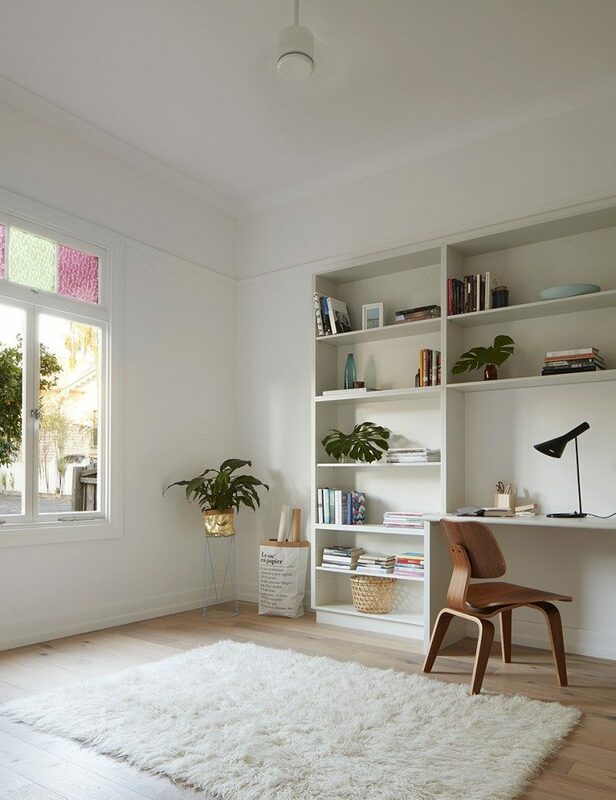 An insertion into the living room of an Edwardian home. 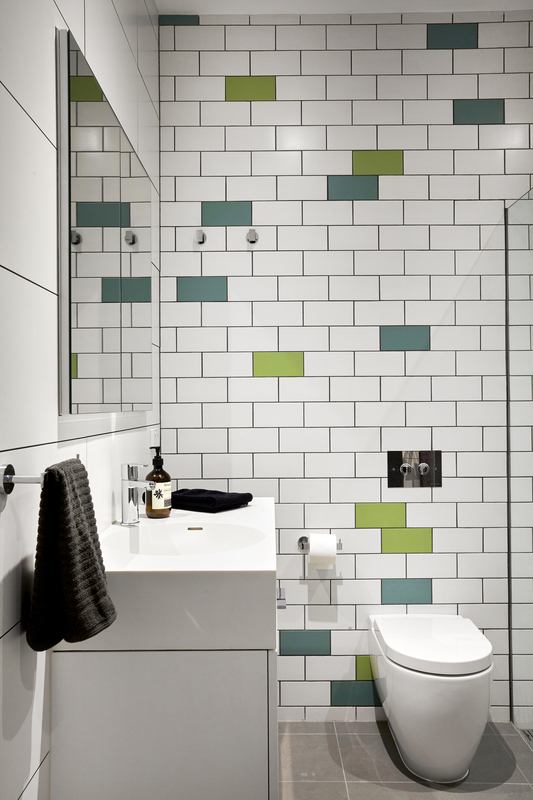 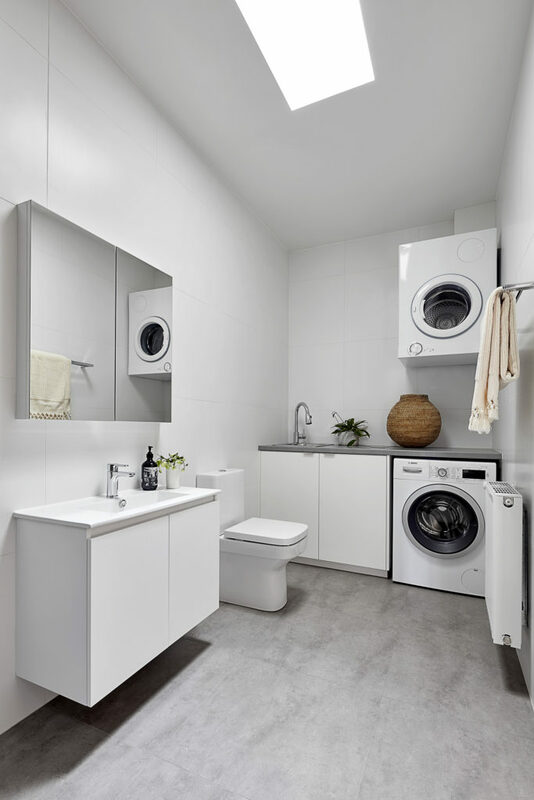 A single bathroom home with a punch of colour. 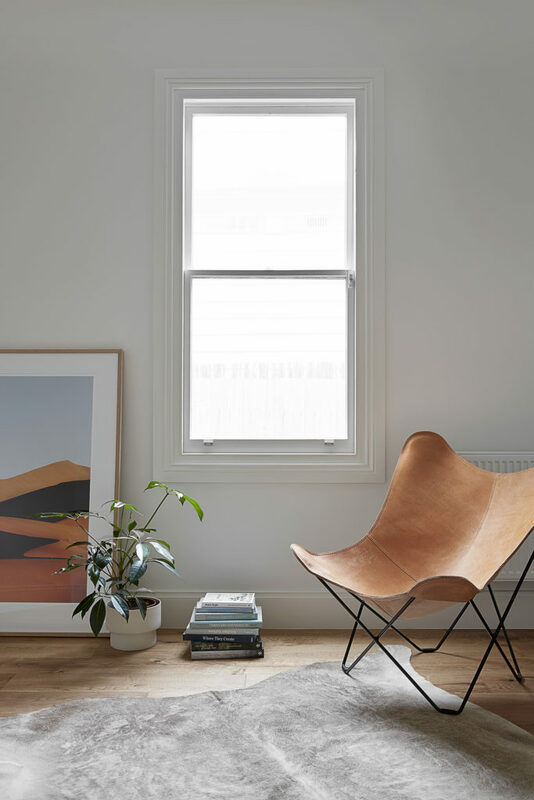 The issue of light is solved by creating an opaque fanlight of glass along the top of the new stud wall. 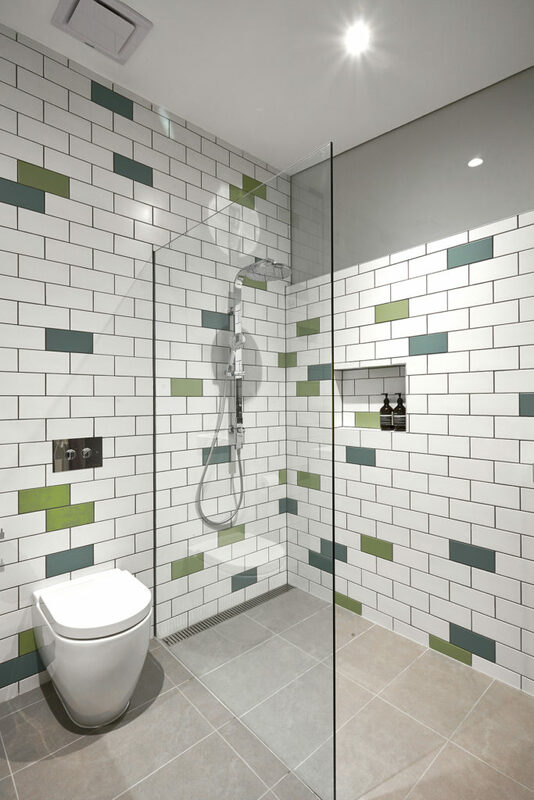 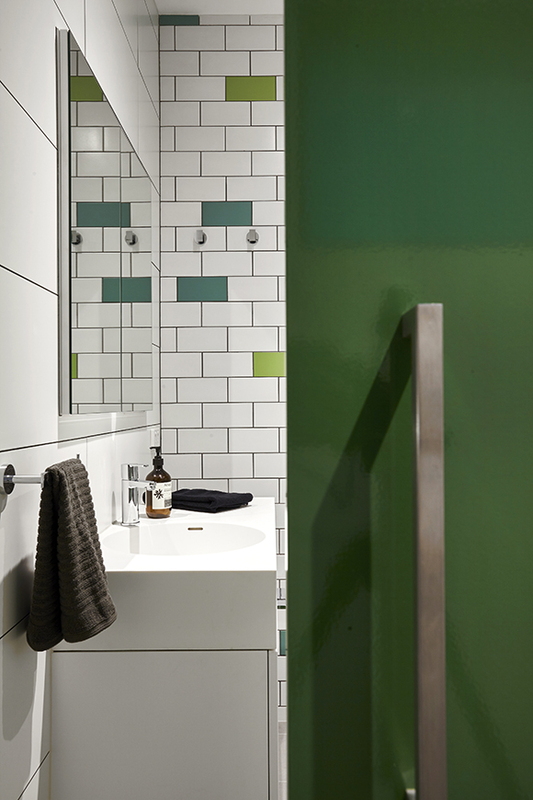 The client’s love of the colour Green is celebrated via tiles and the oversized external sliding door.